While the Holidays have past, and we are given a much harder time coming up with excuses to start drinking on a Wednesday at noon (“it’s, uh, the birthday of…uh…Jack…Daniels…”) we can still take a moment to look back fondly on aspects that make the Holidays so warm and inviting. And drunk. And an awesome but mean trick to play on your lactose intolerant friends. Yes, we’re talking about eggnog. 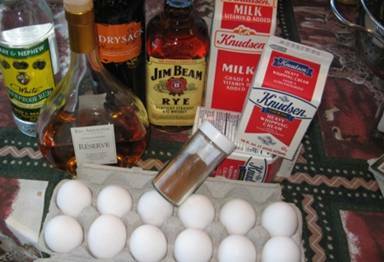 Preparation: Mix liquor. Separate yolks and whites of eggs. Beat yolks while adding sugar, mix well. Add liquor mixture, slowly, while beating. Beat whites of eggs until stiff, and slowly add to the mixture. Add milk. Whip cream until stiff, and add slowly to the mixture. Let set in cool place for several days. We’re not the best with math, but the internet told us that this recipe calls for about 33 ounces of liquor, which means that George Washington very well could have prepared this eggnog for the sole purpose of making people drink it all at once as a test to see if they were truly American (if they weren’t American, they would die of Alcohol poisoning, if they were truly American, they’d throw an awesome party and then shortly thereafter die of alcohol poisoning). 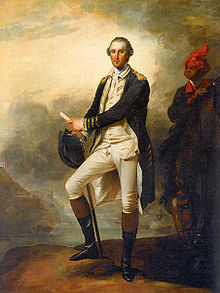 While we are ready to celebrate the fact that the first president of this fine nation concocted such a libatious, uh, libation, we have a hard time that Washington only had his beer and eggnog recipe. So we’re going to list a series of totally-not-made-up (hint, they’re made up) drink recipes that Washington would enjoy while at Mount Vernon. Preparation: Steep cocoa leafs in water for several weeks. Add CO2 through method of your choosing. Add to large punch bowl, containing Jamaica. Find nearest British officer, sever finger, garnish in punch bowl. 1 pint of Bourbon. Neat. Preparation: Open bottle of Bourbon, begin drinking. Continue until passed out. Preparation: Find the strongest person in the room. Have them punch you in the face for thinking that George Washington would drink a Cosmo. So now we can rest knowing we’ve done our part to get you drinking the way that Washington would have. Except for that Cosmo recipe. That one was clearly a fake. The rest were real, though. This entry was posted in Washington, Whiskey and Bourbon and tagged America, Eggnog, George WAshington. Bookmark the permalink.